FOX411: You first became famous on "The Big Valley" with Barbara Stanwyck. 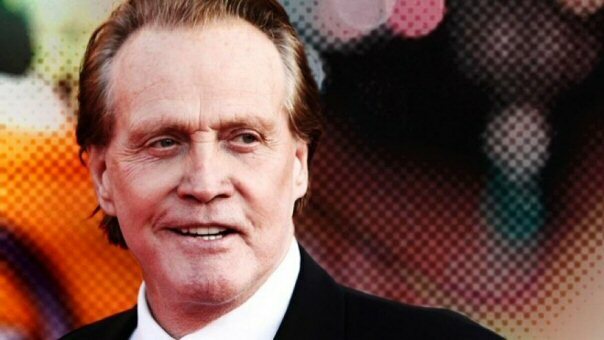 Lee Majors: She took me under her wing. She was a disciplinarian and taught me. The main thing was to be on time, know your lines, hit your mark and keep your mouth shut. I wish some of these younger actors would have a little more discipline. A lot show up late, don’t know their lines. Majors: I play a character by the name of Ken Richards who evidently had a past relationship with Sue Ellen, before JR, and she calls me for a meeting to ask for some help and who knows where it goes from there. It felt like there might be a spark there from her and from me in the scene, but you know these writers from ‘Dallas,’ they keep everything so tight lipped. About three weeks before he passed away we texted back and forth. He did tell me that he was working on it and of course he passed away after Thanksgiving. I met the producer at a memorial and he said, ‘Yeah Larry did mention you quite a bit.’ Then maybe a month after that I got a call that they were checking on my availability, so I point up to the sky and thank JR for the job. FOX411:You’ve been in the business a long time. Ever think about retiring? Majors: No, no I’m kind of old school like Larry. I think both of us, we had a hero in Ernest Borgnine who worked till he was 93 and then passed away. I’m starting my 50th year. I can’t believe it but when I look at my SAG card it says 1963! It’s being in the right place at the right time and a little bit of luck. But back then we only had three networks. I was fortunate to go from series to series and ended up doing seven or eight series. I took a little break for a while, found out I really missed it and went back to work again. FOX411: Why do you think "The Six Million Dollar Man" is remembered so fondly? Majors: It was very innovative as far as the technology. I think it was a family show, which most of my series have been. Everybody could sit and watch it and I think it was good clean fun. FOX411:You know there is a whole generation of people who practiced running in slo-mo a la Steve Austin? Majors: A lot of them remember trying to jump off a barn somewhere and breaking something. FOX411: And that "chee chee" noise. FOX411: Have any of the action dolls? Majors: I probably have a few. Even though I was supposed to be getting a percentage of merchandising from that show which I probably never saw a penny from. Majors: Not only that a lot of the stuff I never knew was out there. I’ve gone to a couple of signing shows just for fun and they bring up things to sign that I’ve never seen before. My wife goes on eBay and buys things. FOX411: You and Farrah were such a glamorous couple, like a real life Ken and Barbie. Majors: It was quite the extreme. It was probably like Brad and Jennifer when they were together. The press was all over us and of course she was doing a show also which was pretty popular. Naturally we really couldn’t go anywhere. Back then you were working so hard you didn’t even realize how popular the show was. FOX411: You played college football. Could you have turned pro?